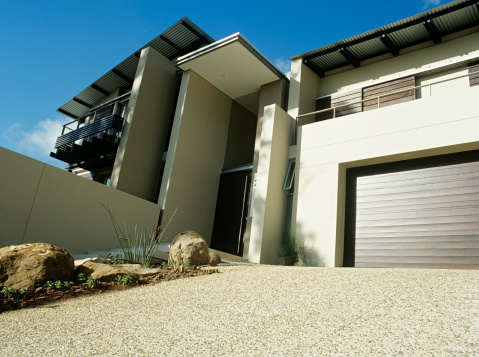 Garage door openers allow the door to be opened without getting out of the vehicle. During a power failure, the garage door opener will not operate and the door will be locked until you manually release it. The manual (emergency) release is only accessible from the inside of the garage, so you must be able to gain access to your garage. The manual door opening procedure is also useful if the garage door opener fails or the transmitter is misplaced. Garage doors feature an emergency release cord. Locate the emergency release cord. The cord will hang down from the center rail of the garage door mechanism and should be close to the top of the garage door. Pull the emergency cord to disconnect the door from the garage door opener. Lift the garage door straight up until the door is fully open. Make sure the door will remain open before leaving it unattended. Close the door manually until it reaches the floor. 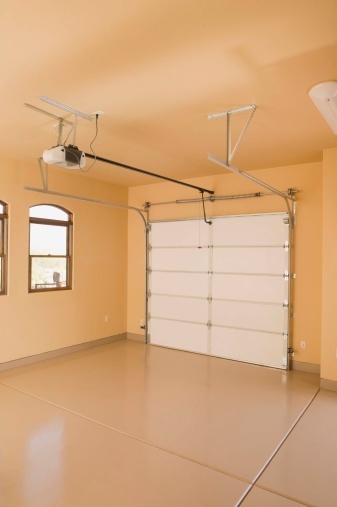 Many garage doors cannot be locked if they are closed from the outside and disconnected from the garage door opener. If you close the door manually from the inside, you can reattach the door to the garage door opener so it will be locked. Jamie Ratliff has been writing since 2002, primarily in the information technology and small-business fields. He has written for "Victoria Business Magazine," a regional magazine with special focus on local small-business news and tips.